The 2019 MWPBA Champions Supreme points standings have been tallied. The latest updates are from April 7, 11:44 a.m. (CDT), which includes the Terry McHugh Qualifiers. A summary of soloists' champion supreme standings is available here. A detailed view of soloists' champion supreme points is available here. The standings are still unofficial, and pending ratification before official announcement of the 2019 MWPBA Champions Supreme at the end of the season. Champion Supreme points are earned only by registered MWPBA members. The 2019 Alma Regional Piping Solos have been completed, and the results are posted. The top 3 contestants in each grade are eligible to compete in the Terry McHugh Memorial Solo Piping Contest, taking place on May 4 in Park Ridge, IL, and have already been enrolled. New for 2019, the MWPBA is delighted to announce sanctioning of the SCOTFEST Highland Games in Broken Arrow, near Tulsa, Oklahoma! Save the date : Saturday, September 14th, 2019. 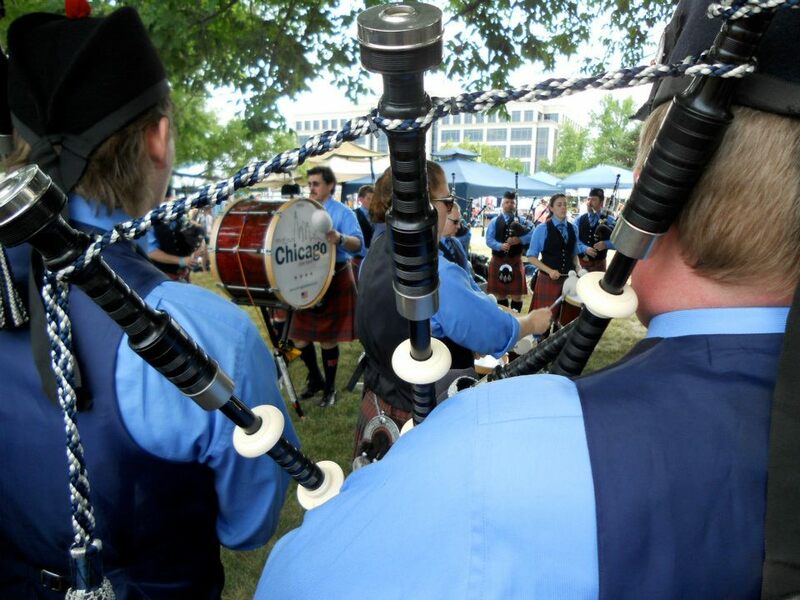 Grade 3, 4 , and 5 pipe band competitions are offered, along with all amateur piping and drumming solo contests. SCOTFEST will also feature band Quartet contests (4 pipers). Bands may enter as many Quartet groups as they can muster from their roster, as long as each player plays in one Quartet group only. The band and solo contest entry forms are updated. Hopefully we'll see you there! The 2019 St. Paul Regional Piping Solos have been completed, and the results are posted. The top 3 contestants in each grade are eligible to compete in the Terry McHugh Memorial Solo Piping Contest, taking place on May 4, 2019 in Park Ridge, IL, and have already been enrolled. All bands that intend to compete in Scotland this season MUST complete the Supplemental RSPBA-MWPBA Pipe Band Roster and submit it TWO MONTHS BEFORE the first contest in which they intend to compete. Good Luck to any MWPBA member bands that are planning to make the trip! Let us know so that we can give you a shout out! The MWPBA is an Affiliated Association of the RSPBA. Here is the schedule for the St. Paul Regional. A map of the campus can be located here. Due to the limited time to enter, we've waived the late-fee stipulation for this contest only; the final entry deadline will be March 17. No entries for this regional will be accepted after that.